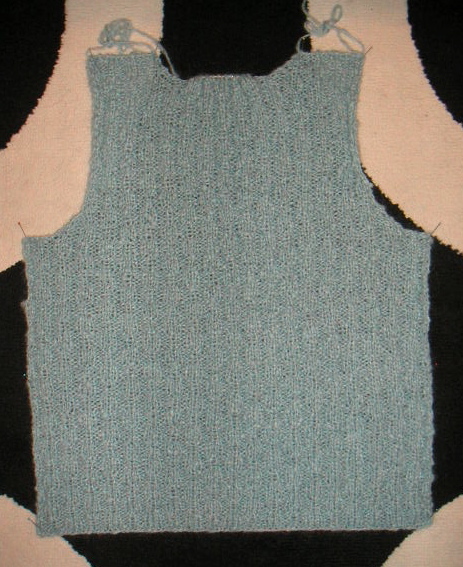 Here's the back of the tweedy vest. It was done blocking last night. I started the front and have only done about 16 rows so far. I have yet to swatch the Soft Tweed, but plan to do so this weekend, if not tonight or tomorrow. We had some heavy snow showers in town this morning, so I may still be able to get some wear out of my winter sweaters.